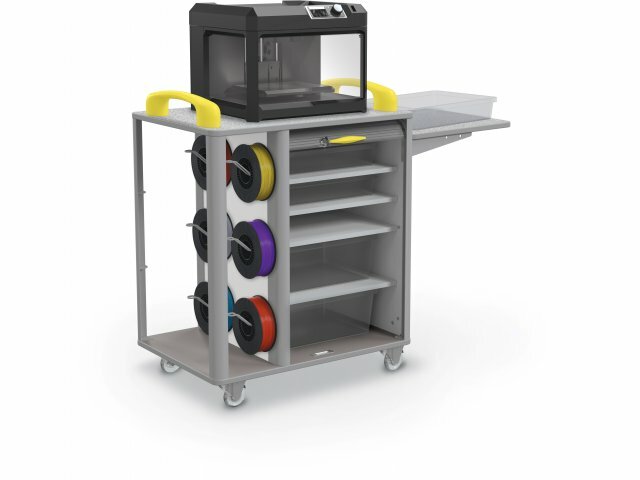 This makerspace 3D printer cart has everything you need to support your 3D printer. 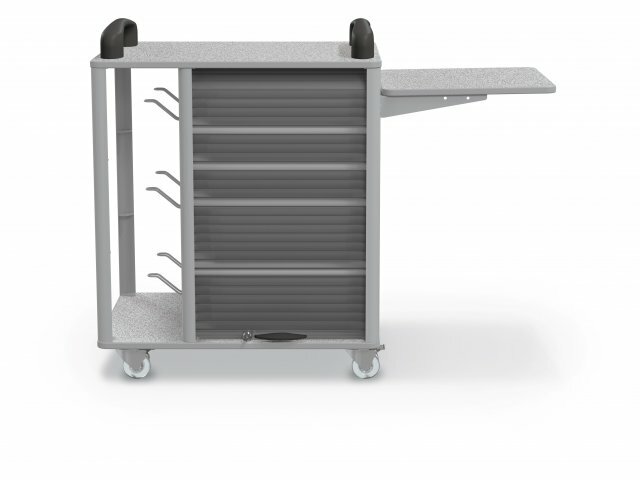 Six sturdy hooks support filament reels, while a detachable side shelf provides quick access to an extended work surface. 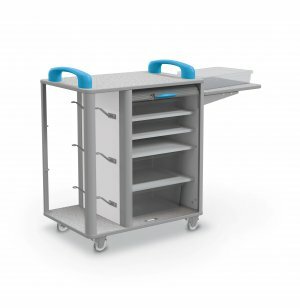 Includes five clear tubs with lids for storing supplies, components and prototypes. 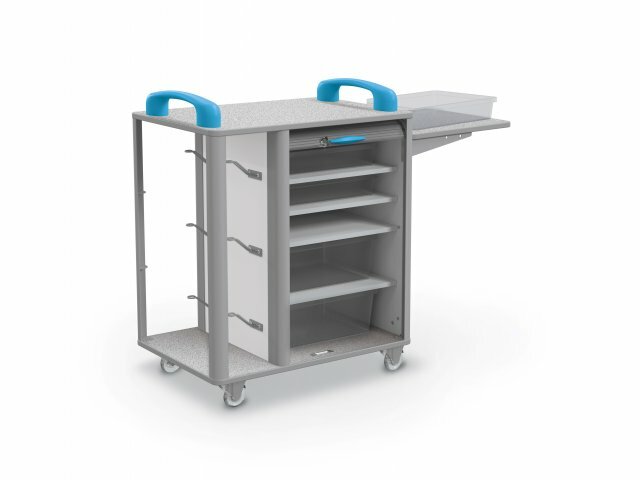 Extendable: Detachable accessory shelf stores conveniently on the side of the cart for quick access. Convenient: Includes sturdy reel hooks, which accommodate six reels of printer filament. Includes Tubs: Comes with five clear tubs, including lids (three small, two large).